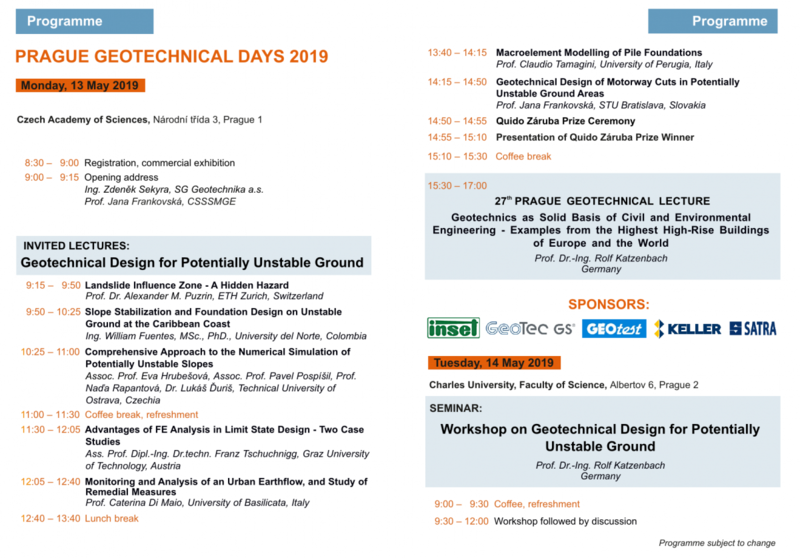 Everyone is invited to join our annual event “Prague Geotechnical Days”. 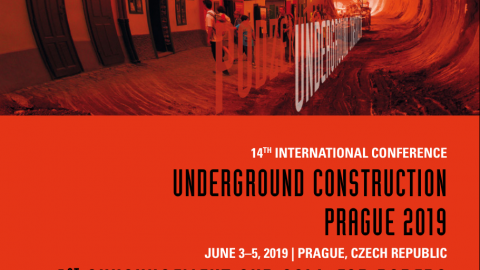 As always, interesting programme has been assembled this year, including the 27th Prague Geotechnical Lecture by Prof. Dr.-Ing. Rolf Katzenbach. Invitation leaflet is here. For registration, see http://www.issmge.cz/. Topic of the day: Geotechnical Design for Potentially Unstable Ground. Landslide influence zone – a hidden hazard. Slope stabilization and foundation design on unstable ground at the Caribbean coast. Comprehensive Approach to the Numerical Simulation of Potentially Unstable Slopes. doc. RNDr. Eva Hrubešová, PhD. , Assoc.Prof. Pavel Pospíšil, PhD. , Prof. Ing. Naďa Rapantová, CSc., Lukáš Ďuriš, PhD. Advantages of FE Analysis in Limit State Design – Two Case Studies. Monitoring and analysis of an urban earthflow, and study of remedial measures. Macroelement modelling of pile foundations. Geotechnical design of motorway cuts in potentially unstable areas.